This upgrade was VERY intense and there were 2 days in this period of time I could barely move. I would get up and do a few things in the house and then have to sit back down and rest. My muscles were so sore I could barely walk and then I was dealing with many of the other symptoms on the list. I had to reschedule all of my appointments from my website. This was one of the longest lasting and most intense waves yet that we have had to deal with. This is all upgrading to the new light body, in order to upgrade we have to move away from the old and this is letting go of the old way of being through our energy centers. Some are now getting hit with the energy of the Gateway. Hang in there, it will pass in a few days. When we feel these waves all depends on our frequency and vibrational levels. 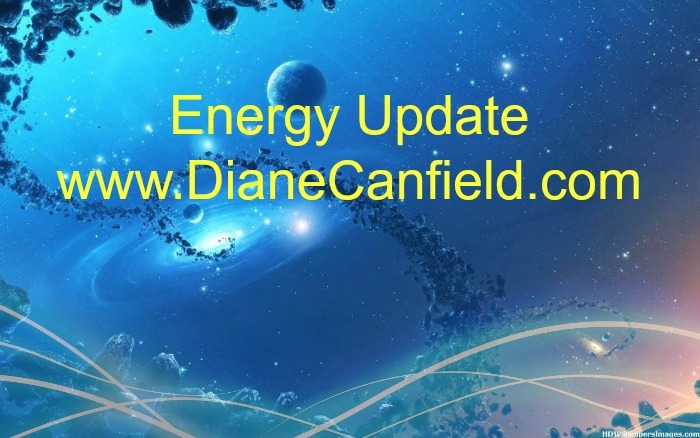 This is a good reason to check my articles and page regularly as I am always on top of all energy waves, downloads and upgrades. With this also came some odd experiences for me that I must say have not happened before. I do have experiences out of 3D just about everyday but since Wave X my experiences have taken on a new flavor. I experienced this odd occurrence a few times during this energy surge of the 11/11 Gateway. I would be on my computer or doing something else and what hear others talking next to me. I realized as I listened to them, I couldn’t understand what they were saying. It sounded like a complete different language that was not mine. It did not matter what language they spoke it all sounded the same as unrecognizable. I was somewhat shocked because this has never happened to me before. This would last for a few minutes and then I could understand again what they were saying. This not only happened to me once but about 3 different times on different days during this upgrade. What this means is we are now moving away from Earth language in our frequency and vibration. Many of you may experience the same thing or similar things in the weeks to come. The language of the Universe is telepathic. No words needed. So it would make sense that as we ALL become more telepathic as we move more and more into our LIGHT Bodies that we would also loose the need for language and not understand it. Many have asked me for advice about the recent Paris incident. We must always be aware of what goes on around us but also to stay out of fear at the same time. We must be aware others have other agendas than we do. The world of 3D is based on opposites and compliments. These attacks are the opposite of everything that is loving. Yet we must keep a high vibration even though none of us like to hear of violence of any kind. Most of us are VERY sensitive NOW to any kind of Violence as move up in dimensional realities. We must be able to discern what these attacks mean and what they were for. Fear is an agenda that keeps showing up as we move higher and higher in our awareness. This happens because there is a pull to not let us leave this reality. This is even more a reason to not let fear dictate our reality and awareness. We can not let any incident now stop us from our goal of ascension. We do not want to be distracted and then lower our vibration. Remember there are other agendas now as we move closer to our goal of the 5th dimension. Keep this in mind and do not be shocked when the dark agendas make their move. We are NOT in the same reality as they are, yet we have to be aware they are trying to hang on to what WAS and no longer IS. We need to be able to move through these agendas quickly and not let this affect our consciousness. Maintain the higher vibration no matter what takes place in 3D whether real or not. It does not matter, the goal is ascension. We no longer have time or energy to spend on 3D dark agendas. This is not a humanity issue, it is a dark agenda issue. Humanity is not responsible for this, (some groups are) we do not take on karma that is not ours. The energy of the 11/11 gateway has let up the past few days and blissful feelings have returned. Feeling lighter and more fluid has been reported. I have been experiencing moments of Pure joy at times. Just these times of joy and bliss are worth some of the not so pleasant upgrades we have to go through in the Ascension process.